Archaeologists have found new graffiti that may end the debate about the exact date of the eruption of Mt. Vesuvius that destroyed Pompeii in 79 AD. In one of his letters to the Roman historian Tacitus, Pliny the Younger documented the event twenty five years after it happened. He wrote that the date of the eruption was nonum kal Septembres, which in Latin means nine days prior to September 1 – or August 24. This date has long been accepted by archaeologists and historians. But excavations have found remains of pomegranates and walnuts which are harvested in the Fall, and studies of the casts of the volcano’s human victims seems to suggest that the clothing worn was for cooler weather. In addition, new excavations at Pompeii discovered a charcoal inscription dated to the 16th day before the first of November, or October 17. 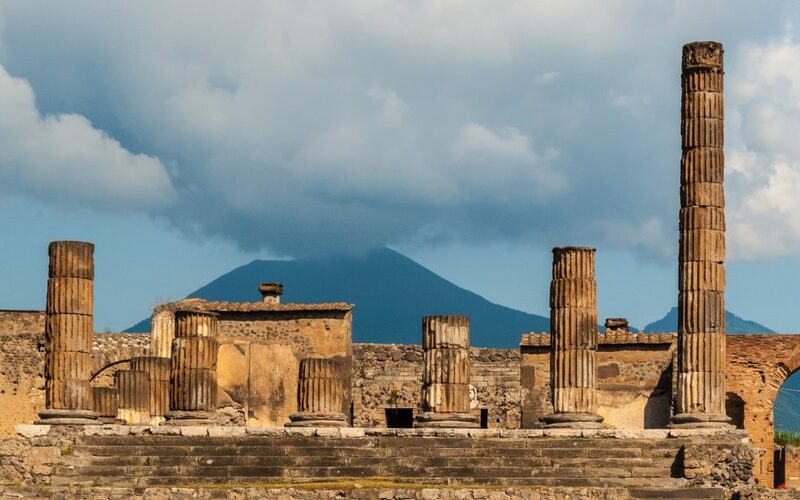 Visit Pompeii with Far Horizons on our Rome and Southern Italy trip.